Keeping your landscape in good condition is vital if you want your property to retain its curb appeal. This means that you won’t want patches of dead grass spotting your yard. To ensure that your grass doesn’t die out and that it retains its beautiful green color, it needs to be watered regularly. While the Northeast Ohio area certainly experiences plenty of rain throughout the year, depending on rainfall to keep your grass healthy is not a smart idea, especially during the summer seasons when rainfall becomes more scarce. 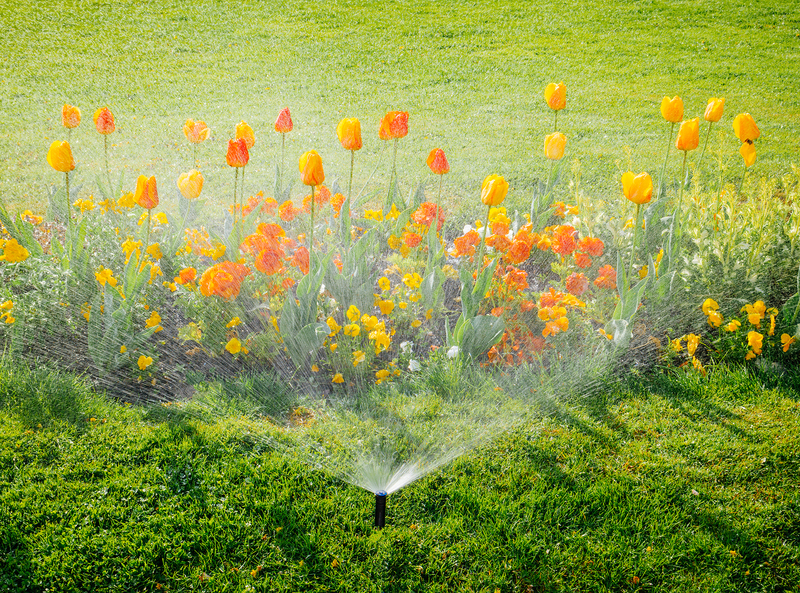 Because of this, you should strongly consider having an irrigation system installed. A pump system – A pump system gets its water supply from a static water source, such as a pond or a lake, and does not result in additional water usage costs. A metered water system – With a metered water system, the water is supplied through a water system that has already been established, such as the water lines from a utility company. It can be connected to your existing water lines. Water that flows through this system is metered, which means that your monthly usage costs will vary depending on how much water you use. The mainline – The main line is the pipes that deliver water to your sprinkler system. The shutoff valve – The shutoff valve allows you to cut off the flow of water to your irrigation system without cutting off the supply of water to your house. The backflow preventer – The backflow preventer is a device that helps prevent the water being delivered to your sprinkler system from going back into the municipal water supply. The sprinkler zone – An irrigation system is typically divided into different zones. The sprinklers in each zone are designed to work together to efficiently and effectively water the area. The zone lines – The zone lines are the pipes that run from the main line to each sprinkler zone. Damage to one of the zone lines will usually only affect one of the sprinkler zones. The sprinkler heads – These are the spigots that spray water throughout your sprinkler zones. There are two main types of sprinkler heads: rotating heads and fixed spray heads. Rotating heads tend to be more effective for larger lawns. The controller – The controller is what allows you to program your irrigation system to open and close the valve to each sprinkler zone at specific times of the day. Save time – Even a smaller yard will take time to water properly. You can’t just go out and spray it down once and call it a day. Depending on the type of grass you have, you may need to give it a deep soak as well. If you don’t give it a deep soak, then you’ll need to water it several times over the course of the day. With an irrigation system, you can program your sprinklers to water your lawn at specific times and for specific durations, saving you a massive amount of time. Save money – Trying to water by hand could end up costing you money. With an irrigation system, you can figure out exactly how much water your lawn needs and your system will deliver that amount of water, not wasting a drop. Watering by hand means that you could end up wasting water, which is a waste of money. Not to mention that if you regularly miss spots, you’re going to start seeing brown patches. You’ll then have to reseed parts of your lawn, which is not only costly, but a hassle to do as well. Maintain your curb appeal – Depending on an irrigation system will ensure that you retain your home’s curb appeal. There’s no such assurance if you just leave it to the weather. Find out more information about our residential irrigation system and our other irrigation services, which includes repair, zone modifications, backflow testing, winterizations and system startups, by contacting us at Sprinkler Pro today.